America got to be the leading country in the world by investing in its future and much of that investment came from the government investing in the new ideas of its citizens. In 1825, an American painter was commissioned by the City of New York to paint a portrait of Lafayette. The painter traveled from his home in New Haven, Connecticut to Washington, DC to paint Lafayette before he departed back to France. While in DC, the painter received word his wife was very sick. Before he could even begin to travel back to New Haven, a second letter arrived to say his wife had passed away. Grief stricken, this event would cause the middle aged painter to search for a faster means of communication. 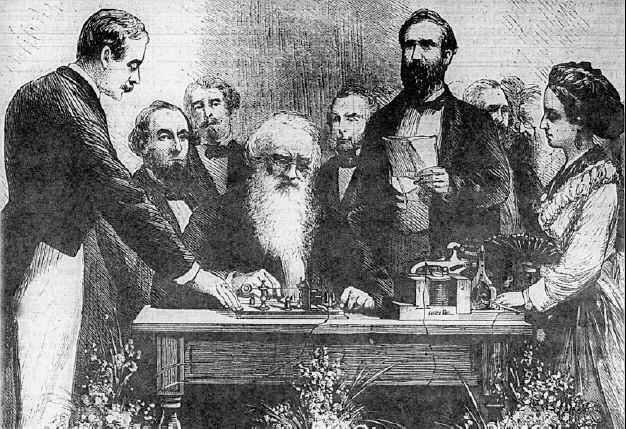 Samuel Finley Breese Morse would, with the financial assistance of the United States government, build the first telegraph system between Washington, DC and Baltimore, Maryland in 1844. He would secure his patent for the telegraph in 1847 and be given the rights to privately build telegraph systems throughout America and the world. He co-founded the Morse code language that bears his name and is still the code used today by practitioners of this form of communication. This kind of investment in the future has been the Hallmark of America. Radio has benefited from many creative geniuses over the years since its commercial birth in 1920. Programmers, air talent, engineers, managers and visionary stakeholders have all played a role in making radio the second greatest invention of all time (according to the History Channel). Growth of any enterprise only occurs if there’s a steady stream of new innovation. Innovation occurs when experimental research is conducted without thought for where it may lead. The transistor was invented in 1947, but it didn’t really see a practical application until the first transistor radio was put on sale in November 1954. It was the Regency TR-1. The transistor radio and car radio would be the salvation of AM radio with the advent of commercial VHF TV in the 1950s. The inventors of the transistor did not envision that their creation would save the radio industry by making it available to a whole new generation who wanted to hear the latest music wherever they went. Ironically, our government funded virtually every piece of technological development that would make possible the Internet, the iPhone and even Siri. Radio can either be like Google and Apple and take advantage of what’s been created to leverage it for their business or relegate their medium to the era of flip cameras, walkman, dial telephones etc. Radio today invests a lot of energy in trying to hang on to the past. It’s playing defense instead of offense as it did back when television was born. To win in the future, you have to invest in it.